As an advocate of women's rights and welfare, work beyond the boundaries of culture and creed, colour and race so that a stronger regional network of women leaders and organizations may emerge and achieve a greater role and responsibility in the family, society and the church. Greetings in grace of our Lord Jesus Christ. I would like to wish you all a very merry Christmas and a God-blessed 2010. We are preparing for the 14th ACWC Assembly. It will be special because we will have the Young Women’s Forum before the Assembly meeting. This new program is for the continuation of ACWC from generation to generation. We are to produce a history book for the celebration of the ACWC Anniversary History. Time is limited but we don’t seem to have enough material for work on. We hope that we can present a good history book for the ACWC. Please remember us in your prayers. Some member countries had civil war and/or hit by natural disasters in this year. We helped them with ACWC Emergency Fund. We are moved to know that other ACWC groups showed support and prayers for them. By the way, I will finish my second term by the end of 2010. The ACWC is in the process of looking for a new Executive Secretary. 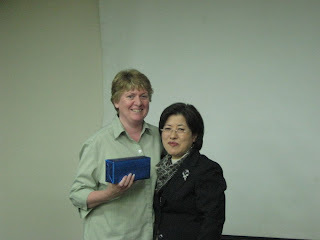 It is important for the ACWC and women ministry in Asia. Please pray that our Lord will provide a proper person for this position. Lord Jesus, I believe you are the Child of God. Please come into my life and heart and be my Lord and Savior. I want to serve you always. The small jet plane was drawing closer to Timor-Leste, and the mountains began to rise up and come into focus before me as I looked out of the small passenger window. Lush, green jungle seemed to cover every inch of the approaching mountains and then suddenly the plane began to descend, and the mountains were now below me as the pilot directed the plane into a broad sweep of the distant ocean. We seemed to travel in a huge circle over the deep blue sea before once again the mountains around Dili came into view. Far below us could be seen a thin strip of civilisation close to the beachfront. The pilot straightened up his approach and his aircraft descended rapidly to a small runway that shared facilities with the International Stabilisation Force. Welcome signs and directions seemed to line the runway as passengers disembarked from the aircraft and made their way across the tarmac to the modest immigration and customs building. I had arrived in Timor-Leste and Rev. Albino de Costa, General Secretary of the IPTL (Igréja Protestante iha Timor Lorosa’e -- The Protestant Church in East Timor), was waiting for me as I exited customs. The purpose of my visit was to be the ACWC link to the CCA (Christian Conference of Asia) and the IPTL during the evaluation of the WEAVE Project. WEAVE had almost finished its two-year term and I was to accompany the evaluator, Mr. Leo Bashyam, engaged by the CCA to ascertain the project’s success in training, supporting and empowering women for leadership in the church. I was to speak with women from the IPTL who were being equipped by the WEAVE programmes, and then report my observations of WEAVE to Leo. As we travelled the short distance to my accommodation, I was surprised that wherever I looked there were the ruins of conflict. I found it difficult to comprehend that such widespread devastation was still so visible. It was nearly ten years after the Indonesian military and local militia gangs had responded brutally to the people of Timor-Leste when they voted for independence from Indonesia. Added to that initial destruction was the more recent effects of the civil war in 2006. At the end of my short three-day stay I came to understand that Timor-Leste was impoverished and there had been little money for rebuilding people’s lives never alone buildings. However, change and redevelopment was slowly on its way and a few very large billboards, that advertised multi-storey proposals in the city centre, were evidence of the confidence that investors have in the future of Timor-Leste. As I looked at the results of war that this small nation had experienced, I was constantly reminded of the worth of a programme such as the WEAVE Project, and its aim to equip women leaders living in and with the results of conflict in their region. My interest was growing in how the local women were participating in this ecumenical project and what steps had been made to equip them as leaders, particularly in a patriarchal and fractured society. My first opportunity to meet with the Christian women of Timor-Leste and to see the benefits of the WEAVE Project came later that day at a training seminar organised by Dominica Faurillo. Dominica is the CCA WEAVE accompanier who ‘walks with the women’ as she helps to equip them for leadership. Nearly thirty women had gathered from the various districts for a training seminar on HIV /AIDS. The facilitators of this course were Dr Erlinda Senturias, Consultant on HIV and AIDS / CCA and Liza Lamis, Communications Consultant / CCA. There was opportunity to interview the local women and many said they were grateful for the seminar. They also remarked they would be able to use their training and pass on this knowledge to women in their district. Throughout my brief stay in Dili I was given more opportunities to speak with the women of the IPTL. I was also fortunate to interview a woman NGO manager from the Philippines who endorsed the WEAVE Project. This lady had also kindly offered her support to Dominica in meeting the WEAVE objectives. Dominica had a plan of action as she visited women and advised and taught them about women’s issues and rights as recorded in Scripture. Bible study for women was a priority and the aim was to conduct this activity whenever the women met for training. This women’s perspective was a revelation for many of her listeners and it has provided them with motivation to become more involved in the church. The number of women attending local churches has also increased after Dominica visited their region. Women’s committees have been formed and they have begun to network and visit one another. The local women have begun to recognise that as they cooperate with one another they can be agents of change in their communities. Women leaders are beginning to receive invitations to participate in other types of training e.g. MYOB financial training. Sunday School has been introduced and the training of Sunday School leaders is taking place with the aim of developing second-generation leaders. The project and its objectives have been accepted and commended by the IPTL. Training has gradually been implemented as the benefits of equipping and empowering women for leadership has been recognised. Sustainability of the accomplishments when the WEAVE project concludes has been noted by the IPTL leadership as a priority issue. WEAVE is giving the women a vision for the future and an understanding of the role of women in the church. The local women of the IPTL expressed their thanks for the support they have received and the leadership vision that has been imparted to them. However, the women expressed concern about the need for a further period of accompaniment as they develop their leadership skills and build on their achievements. They look forward to the day when local Christian women can take on the role of empowering and accompanying other women to fill leadership positions in the church. My sincere thanks to Rev. Moises Antonio da Silva, Moderator of IPTL; Rev. Albino de Costa, General Secretary of IPTL; Rev. Juliana Temparaja, Vice Secretary of IPTL Synod; Dominica Faurillo, CCA WEAVE accompanier; Leocadia’s Jesus, local women’s leader; and Nina Naoyan, WSCF-AP-FIM intern from Indonesia, for their gracious hospitality and openness in sharing their views on the success of the WEAVE Project in Timor-Leste. Nina Naoyan, WSCF-AP-FIM intern, introduces visitors to the seminar participants. Rev. Albino de Costa, General Secretary of IPTL, in the foreground. Procession of participants carrying the Bible, ACWC Banner and some symbols to symbolize your country (Example: Sprigs of greenery for New Zealand) and placed on or near the altar according to local custom. Leader: We send greetings from Aotearoa New Zealand, the land of the Long White Cloud, and join with our nineteen member countries of the Asian Church Women’s Conference to praise God and give thanks for the gift of Christian Faith which we have received. We uphold before God, the theme of this Service: Asian Women Moving Forward, Non-Violent World; New Earth; Life in its Fullness. We praise God for the beauty of the earth: the mountains, the rivers, the sea and the freedom we all have to roam at will. We marvel at the sunrise, sunset and gaze at the Southern Cross Constellation high in our clear night sky. We ask for the wisdom to care for our country and our people of many nations, Maori and Pakeha who have come to live here; and to share it with others. Let us pray earnestly today and in the future for the courage to work for the ideals of our theme so that God’s Creation in the fullest sense of human, animal and all nature will be respected. Let us greet one another as we often do in New Zealand....Haere Mai, Nau Mai....... welcome, welcome. as the cluster of the grapes upon the vine. All: whose love endures forever. All: give to our God your thanks and praise. We come before you, conscious of how often we disappoint you. We want to be like you, to follow you in everything we do, but we get distracted by worldly things. All: Forgive us and have mercy. Leader: The world is full of distractions and we often turn away from those things that make us feel uncomfortable. Open our eyes to the needs of people around us and help us to be ready with a kind word of encouragement and practical service. Leader: Help us to recognise our own prejudices and realise the discrimination and exclusion that damages society. Banish all contempt and self righteousness in us and grant us the humility you showed in your Son Jesus. Leader: God of compassion, help us to understand that having material things is not enough. Forgive our greed, our neglect of the environment and help us all to live in your grace and aroha (Maori for love). May we become a truly loving and healing community. All: In Jesus’ Name. Amen. let justice begin with me. Lord’s Prayer: to be prayed in your own language. We ask God’s blessing on our Prayer Partner. May the work among our members and their families be fruitful and supportive of their Christian lives. May the Lord Jesus raise their spirit and increase their love for Him and make them strong in diversity and gentle in their relationships with friends and family. May the Lord, the great shepherd of His flock enfold them in His arms. O Loving Creator, we present ourselves in your divine presence to thank you for all the bountiful gifts of life. 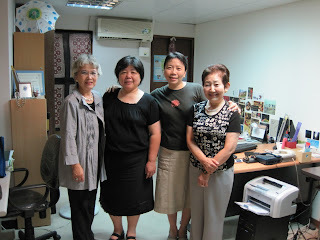 We are especially grateful for the ACWC which binds us together in love and supporting around the Asian area. Free us from all doubts and prejudices, we pray. Inspire us to live in solidarity with humankind that we may know the joy of giving and receiving. Dear God accept our prayers. Let us honour your creation with love as shown through the life and resurrection of your Son Jesus the Christ. Amen. who was, and is, and is to come. Leader: Dear Lord God, we bring the needs of others to you now. The sounds of violence and anger are in many places around us. The ground is wounded by the greed and demands of people. In deep sorrow, our sisters and brothers of many lands are suffering. We call on you to send the gentle rains of your mercy where they are most needed. Only you can bring us your gift of peace. Response: Oh Lord, hear our prayer for peace. Leader: Dear Father, we know that all our leaders in the Church, in our communities, and in our countries need to be wise. Many problems are world-wide and need trust between nations. Send your blessing of wisdom we pray, on those who have responsibility. Show our leaders the right choices and the right way forward. Only you can bring us the gift of wisdom. Response: Oh Lord, hear our prayer for wisdom. Leader: Dear Lord Jesus, there is great illness in the world today. Many are suffering from HIV- AIDS; from serious epidemics of influenza and from local disease. Just as you walked among the sick and touched them with your hands, we ask you today to bring wholeness to your faithful people. Only you can bring the gift of healing. Response: Oh Lord, hear our prayer for healing. Leader: Dear Holy Spirit, there is darkness in the world; the cloud of disbelief and the worship of materialism. Many people are filled with despair, and have lost hope in the future. Shine through your word we pray, so that the true light and the true love of God can shower on the shadows of evil in our lands. Only you can win the spiritual battles with your gift of blessing. Response: Oh Lord, hear this prayer for blessing. Use us to carry your love and compassion we pray, through the power of your name; Father, Son and Holy Spirit. Amen. to let each other’s mana stand. shall be our heritage and hope. one covenant of life to share! All: Together we seek life in its fullness, a non-violent world where we can live in relationship with all people. Together may we live in a relationship with all creatures, all living things and all of nature where we are not the sole beneficiaries of the earth’s resources. Together may we live in relationships to God so that our identity and wellbeing is grounded in the knowledge that God is Love. Leader: Go now in Peace; Moving Forward in God’s Love. September 26 was very memorable date not only for me but most the Filipino people in Metro Manila and neighboring provinces. Rain poured early morning of Saturday and I was busy preparing for our breakfast, baon for lunch then by nine o’clock proceeded to our office in Lemon Square bldg along EDSA. At around ten o’clock the maid of my youngest daughter called up that water is getting inside our houses. She immediately went home only no more buses or jeepneys at that time because almost all the streets going to our place were all under water. She walked to almost waist level of water. After lunch our commercial building was already flooded up to the 1st floor. Luckily we are on the 2nd floor. Lights went off and I could no longer go home because water is already above waist level. News says that, Marikina, Cainta, Malabon, Laguna and other nearby cities and municipalities are all merged under water. People clamoring for help because plenty are up the roof of their houses waiting for helicopter to pick them up. Some were transferred to evacuation centers, mostly in schools. The following Monday, Ms. Prima Formileza from Novaliches Quezon City texted me asking for help but since I was busy cleaning and drying the wet materials in our house, I didn’t immediately answer her. It was only when Ms. Shu-Wen called me up in my cellphone asking how we are doing. That was the only time I realized that I have a duty as President of the CWUP to help and monitor our members and friends. Pepeng followed a week after and made the situation worst. Northern, Central Luzon were stricken and were all under water for a week. At this time, I wrote Cora T. Reyes, the secretary of the Fellowship of the Least Coin to please reconsider giving us financial help to assist fellow members. This must be a wake up call to all of us Filipinos to conserve our environment and to dispose properly our waste. A time to reconsider whether we will allow our people to construct their houses in the riverbanks, esteros and even under the bridges. Then came 2 more typhoons that hit North Luzon again. With all of these tragedies, we from the Church Women United of the Philippines thru the help of Asia Church Women Conference and the Fellowship of the Least Coin are thankful to God for He is still so kind. We thank all those member of ACWC who have sent their letter of concerns and prayers.With all the help from everywhere and through relentless efforts to extend to our countrymen who are in need, the Philippines can battle these unlikely events and can get up as one nation by God’s grace. 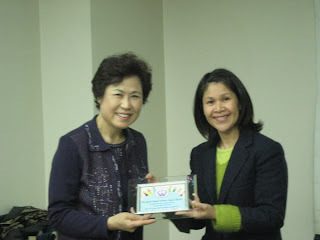 The ACWC service was held on Oct. 24 in Singapore to promote the ACWC. During the Service, the ministry and endeavors of the ACWC and the ACWC quarterly publication was introduced to as many women as possible, in particular the younger ones in Singapore. Sri Lanka will be having their service on 20 November. Mongolia and Indonesia also will have the service on 15 November. Thailand is also preparing it. Bangladesh did not observed the ACWC Day in November, 2008 for their political situation. This is only happened in Dhaka. So Bangladesh observed that day on 20 February, 2009 and other sisters from different part of Bangladesh observed ACWC Day 2008 at November, 2008. This year Bangladesh could observe ACWC Day 2009 in November. The KCC- Women's Desk in Cambodia informed the ACWC Office that Cambodia will have 50 participants to observe the ACWC Day on 21 November 21, 2009 in Kampot Province. 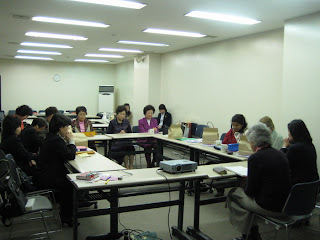 Japan had the ACWC Day service in two places this year as usual. The one was in Tokyo on 30 October and the other was on 11 November in Kansai. Both places were expected over 400 participants. In New Zealand, the ACWC and the FLC Ingathering Service was held on at 10:00 AM, 06 November 2009, Knox Presbyterian Church. It was prepared by the National Executive of Church Women Australia. The Revd. Joohong Kim was the speaker. A warm welcome is extended to attend this Service and morning tea to follow, from the members of the National Committee Church Women United Aotearoa-New Zealand. The ACWC President, Nareeboon Rachkeeree/ Vice President & Honor Treasurer, Ms. Pauline Yates/ Ex. Sec. Ms. Shu-Wen Chiang will attend the 29th Annual Meeting of the International Committee for the Fellowship of Least Coin (ICFLC) on October 17-24, 2009, Nairobi, Kenya. All of us will leave for Kenya on 16 October and arrive in our own country on 25 October. Here is an announcement from the ACWC President: We don’t know the situation of communication in Kenya. During the meeting session, if our members have any emergency matter, the President requests the Assembly Secretary, Capt. Donna Bryan to take care of the matter. The ACWC Secretariat Office sends the concern, prayers and support to you and our Philippines members. 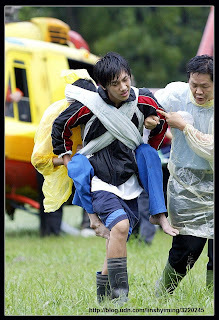 From News people know that Typhoon Ondoy battered Metro Manila and 25 provinces on last Saturday 26 September 2009. 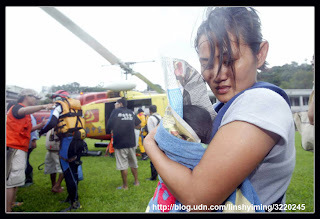 The National Disaster Coordinating Council put the death toll at 240. The disaster was the worst the capital had experienced in nearly half a century. Typhoon also poured a month’s worth of rain onto Manila in just 12 hours. More than 300,000 of those affected are now housed in roughly 200 evacuation centers. The ACWC Secretariat Office sends this mail to all ACWC members as a prayer request for the Philippines. The Emergency Fund will release to our Filipino members as soon as we can. Greetings from the ACWC Secretariat Office. ACWC July-September 2009 Newsletter is ready which will be sent out to all of next Thursday. To the people, English is not their first language so it is difficult to identify the difference of various prepositions and how to use them properly. For example, sometimes I am confused about “between” and “among”. When I mentioned the member countries, my proofreader always suggests that I use “between”. I like the term of “between”--God is our bridge to link us together; sometimes I or other members are our channel to link the ACWC as a big family, so we can share and support each other in different situations. From the column of “Our Concerns”, the Christians’ situation in Pakistan is worse who are attacked by others. For Taiwan, the unexpected disasters, which were caused by Morakot Typhoon on 08 August were strongly and deeply struck eastern and southern Taiwan. Our sisters' and brothers’ sufferings were already confirmed by your prayers and support. From the session of “Mission, Program and Project” you can read many reports about the ACWC’s work during these months. In Cambodia, we strengthen the structure of the Women-Desk of the KCC to promote the programs for women, youth and children. In Mongolia, the ACWC, the ICFLC and the ACWC-Japan worked together to accompany our Mongolian members to develop the ACWC and promote the FLC prayer movement in Mongolia. 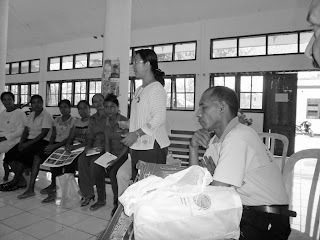 In East Timor, the ACWC was invited by the CCA to evaluate the gender issue in this new country. The National Federation of Kyodan Women’s Societies (NFKWS ) shared their celebration of their 40th Anniversary National Assembly in Japan with us. Here is another reminder: it is time for ACWC Day. Basically, the ACWC Day is on the third Sunday of November, but member countries could modify the date to fit the different situations in your country. The Liturgy for 2009 is presented in the Newsletter. Please say thank you to our Australian sisters for their hard work to design it. May our Lord lead us to be a sisterhood and be tied together for missions. Australia Church Women, ACW National Conference Will Be Held on 20-24 September 2009, Canberra. 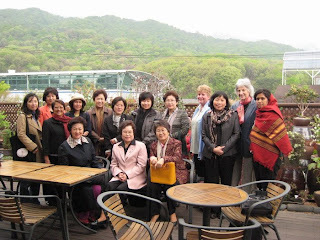 The National Federation of Kyodan Women’s Societies (NFKWS) Chairperson Michiko Narimatsu and member Kimiko Ibaraki were invited by the Women’s Ministry of the PCT to visit Taiwan on 11-14 August 2009. 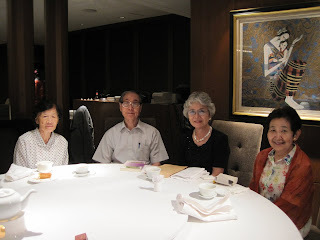 The ACWC Executive Secretary Shu-Wen Chiang hosted a day long trip and dinner with Rev. and Mrs. C.S. Yang at the Sheraton, Taipei on 13 August. The former ACWC Treasurer Rev. Susan Chung (1994-1998) took them to visit Mackay Memorial Hospital on 14 August. 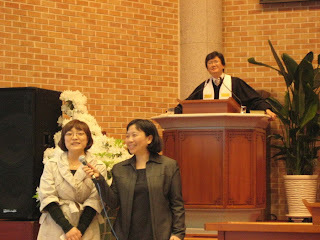 From left to right: Ms. Kimiko Ibaraki, Rev. Susan Chung, Shu-Wen and Ms. Michiko Narimatsu. The Myanmar Council of Churches (MCC) General Secretary Mr. Saw Shwe Lin and President Rev. 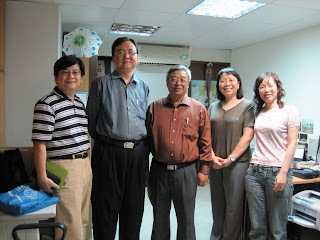 K D Tu Lum visited the ACWC Taipei Office and handed over the report of Nargis to Shu-Wen on 4 August 2009. 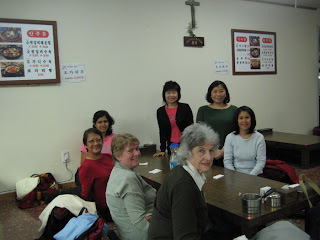 Following news reports in the international media the Presbyterian Church in Taiwan (PCT) received several messages from overseas concerning the typhoon and tropical storm Morakot that struck Taiwan the weekend 7-10 August 2009. Please know the PCT is very grateful for your expressions of concern and in turn wish to give you a brief update. Basically the typhoon itself proved to be quite minimal compared to what Taiwan normally experiences, and it was soon downgraded to a tropical storm but torrential rains came in its wake Saturday and Sunday. The initial reports and investigations indicate the South of the country incurred most damage, in particular Taitung and Pingtung counties. As we know some areas had their equivalent of one year rainfall in two days and the worst flooding recorded in 50 years in Taiwan. At the present time, under such critical conditions and until the water level decreases, it is very difficult to fully assess the true and total picture as to extent of loss of life, or damage to the land and property. Broken roads and collapsed bridges not to mention electricity cuts and telephone lines damaged are hampering communication and the assessment process. From what PCT staff have witnessed and based on the media reports there are bound to be villages swept away. It is really devastating - the clean up will be horrendous and it will be necessary to monitor and control any infections that could arise from dirty water, debris, dead animals and so on. The PCT General Assembly is already active and involved in the national disaster response relief and rescue work doing their part as best as they can. We are coordinating with our numerous Presbyteries setting up relief centers, phone help lines, dropping stations for donations in kind and money. Some of you have expressed concern for PCT churches, again, it is premature to evaluate the loss of lives or the extent of damage to our church members’ homes and church property but as PCT local congregations are in many communities all over Taiwan this is inevitable. Information will be released in time. On behalf of the PCT and the people of Taiwan we express our deep appreciation for your concern and ask that you hold the victims of this major disaster in your prayers as well as those involved in the daunting task of rescue and relief in the weeks to come. In this time of disaster on behalf of Pakistani Christian Community I wish to share the burden with Taiwan sisters of going through turbulence, disaster pain & Christian persecution as it is always in Pakistan. For the third time in a month villages & Churches were burnt all Christian houses people burnt alive for blasphemy as they say. This time just last week almost 50 houses burnt in Gojra Village . Earlier in another village known as Kasur. People are scared & destitute. It is painful but a great testimony as well as the community dares to fight back & raise voice against those who create the whole scenario. May God prepare us all to stand firm as we go through this difficult time. Kindly request all ACWC sisters to pray for Pakistani Christian Community as we all stand in solidarity shoulder to shoulder to support one another in Jesus Christ. Since the Church Conference of Asia, CCA and the ACWC cooperated for the “Women’s Ecumenical Accompaniment for Vision and Empowerment WEAVE” in 2005 for Cambodia, it is a good model for two Ecumenical Organizations to work together on any Women’s issue. In 2007, the CCA invited the ACWC again to promote WEAVE in East Timor. Then, Ms. Corazon Tabing-Reyes, Joint Executive Secretary, EGY/ Ms. Chiang Shu-Wen, Executive Secretary, ACWC/ Ms. Nina Nayoan, WSCF-AP- FIM intern at Timor Leste where the team to visit East Timor on April 13-19, 2007 (For Details see the ACWC April-June 2007 Newsletter). When the CCA had the Round Table Meeting with Global Partners on 10 July 2009, Ms. Moumita Biswas raised the East Timor issue at the meeting. The partners from U.S.A and Canada also shared that they supported it and are keen in regarding help to the CCA review process of the accompanying Program. Therefore there is a revaluation team to visit East Timor from 11 August 2009. The CCA- EGY requests the solidarity of ACWC again in this process – so that in future we can work in partnership to support women and youth leadership development in East Timor. Ms. Moumita Biswas requests one of ACWC member to join them in this Endeavour. After the discussion between the ACWC Officers, we decided that Captain Donna Bryan (Australia) be the ACWC Representative for the visitation. In the beginning when the CCA asked the ACWC to work together with the CCA to develop the Church Women’s mission in East Timor, the former ACWC Ex. Co. already thought to ask the Australia Church Women to aid this plan. 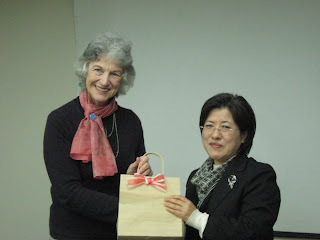 So the ACWC participants of the first visitation were Ms. Pat Walker (Australia) and Ms. Shu-Wen Chiang. But because of the chaos in East Timor in 2005, the visitation was canceled then. By the way, the relationship between Australia and East Timor is very close. If we can have an Ex. Co. member from Australia to be the team member, it will be helpful for a future plan. The date and schedule for East Timor was decided in a rush. The ACWC appreciates it that Donna responded to our request promptly. Now she is busy preparing for the East Timor meeting. Please pray for her future journey. 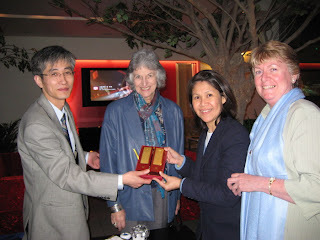 For supporting Cambodia, the ACWC Executive Secretary/ Ms. Shu-Wen Chiang can meet the General Assembly Secretary of the Kampuchea Christian Council and the Kampuchea Christian Council Women Desk on 09-31 July 2009 in Cambodia. The National Federation of Kyodan Women’s Societies held the 40th Anniversary National Assembly on 02-03 June 2009 in Chi-Ba City, Japan. The ACWC Ex. Sec., Shu-Wen was invited to attend. 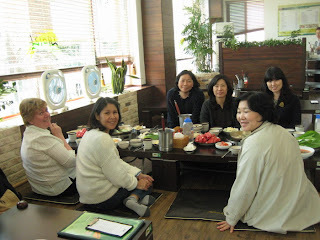 After the Assembly, Shu-Wen also had a lunch meeting with the ACWC-Japan members on 04 June. All details about the Assembly and the lunch meeting will be presented in the July-September 2009 ACWC Newsletter. For promoting the ACWC-Mongolia, the ACWC Office, the ACWC-Japan and the ICFLC worked together to hold the ACWC/ FLC seminar in Mongolia on 06-12 July 2009. The details will be reported later. The ACWC Ex. Co. member--Rev. 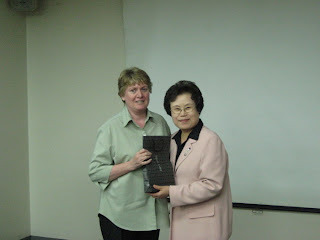 Ni-ling Lin finished her terms (1998-2009) for the Program Secretary of the Women’s Ministry of the Presbyterian Church in Taiwan (PCT) in June 2009. Rev. Hsing-Ling Lee will be her successor after June 2009. A position exists in the Asian Church Women’s Conference (ACWC) for an executive secretary. 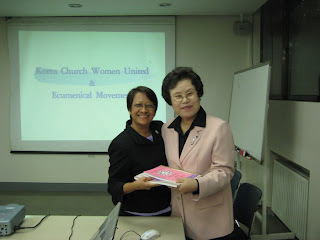 The executive secretary is the implementing officer of the Asian Church Women’s Conference. The person selected for this position will be able to use their skills to ensure the proper management and administration of the affairs of the Asian Church Women’s Conference in consultation and coordination with the Executive Committee of the ACWC. Ability to organise the ACWC calendar and deliver appropriate solutions to meet critical dates. All applications must address the key selection criteria and the competencies and responsibilities required for this position as outlined in the position description. Applications close 4.30pm, Monday 9 November 2009. 1. Send the request to other ecumenical organizations for more support. But the priority is that our ACWC member countries should support our own needs. 2. From 2009, the ACWC raises affiliation fee from $100 USD to $150 USD or greater. 3. Encourage some member countries to fund their delegates’ airfares and any local travel expenses incurred within the country that the delegates represent. 4. Encourage the member countries to ‘adopt’ the projects and scholarships. Details for discussion will be sent out to the members by the end of October 2009. The finalization will be decided at the 14th ACWC Assembly, 2010. 1. The search committee is comprised of the President, Vice President and Assembly Secretary. 3. Applicants require endorsement of their national ecumenical body and their church. 4. The form and advertisement was announced by the ACWC Secretariat Office on 16 June 2009. The WEAVE in East Timor is on hold until the situation in East Timor is stable. Ex. Co. members to ask for photos of Assemblies and past officers, especially before 1998. The final version of the form was sent out to the Gen. Co. members on 26 May after the Ex. Co. meeting. Revised ‘Proposal for Setting up Young Women’s Committee in the Asian Church Women’s Conference’. The young women will be included in the ‘reflections on ACWC’section of the history book. The ACWC Secretariat Office will add time for reflection to the Assembly timetable. The process of setting up the YWC will also be recorded in the ACWC History Book. Add the ongoing projects and scholarships to the ACWC Day liturgy. Agreed that Singapore prepare the liturgy for 2012. 1. 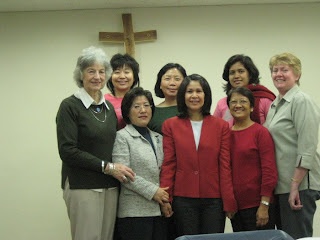 ACWC officers will meet in Indonesia with the local hosts in January 2010. 2. Participants: 200. Up to 4 delegates and up to 7 observers from each country. That is, a maximum of 11 participants from each member country. Any additional local people attending will not receive Assembly materials e.g. handbook. 3. Guidelines, rough schedule, forms for the Assembly. Forms will be sent out to the Gen. Co. members by the end of October 2009. 4. Small group leaders at the Assembly. Guidelines will be supplied for group leaders and will be sent out to the leaders by the end of August 2010. Future Prayer Partner 2010-2014 will be announced at the 14th ACWC Assembly. The HKWCC suggested the ACWC change the National Body from the HKWCC to the HKCC. The ACWC Secretariat Office will contact Hong Kong about the General Assembly and ask if they want to attend and observe. Others (four) subject to meeting application requirements. Executive Committee members agreed that the National Representatives need to send an official letter to ACWC stating the amount received each year for each scholar. There are now 11 (eleven) scholars including the current scholars. In the future reports to the General Assembly highlight the number of scholars supported by other bodies. Emphasise that more funds need to be raised to support scholars. Sri Lanka—Humanitarian services to the internally displaced persons of the north and east due to the civil war—is accepted as the emergency fund. Noted that projects need follow up and a report to be submitted from the National Representative re: projects. Report must include expenses. ACWC monies need to be kept in safe accounts. The risks for ACWC monies was demonstrated recently because of the global economic crisis. Question asked: Does the Executive Committee have the authority to move the funds to another bank? Treasurer asked if she could prepare a proposal re: the budget and present it at the General Assembly to keep members informed. This year, the ACWC received 6 application forms from the ACWC member countries. The budget for each project is 1000.00 USD. The Project from Sri Lanka —“Humanitarian services to the internally displaced persons of the north and east due to the civil war” is qualified for the emergency fund not project assistance fund. The ICFLC also plans to release the emergency fund to Sri Lanka. While the prelude music is being played, some women carry symbols of faith and life to the altar: an open Bible to be placed at the center, one big lighted candle, a potted flowery plant and the banner of the ACWC. let us be poised for flight on soaring wings of faith and love. O come, let us worship! whose power was shown in love. Glory be to you, O God! Amen. Leader: Here, God, we are yours. Silent now, but filled with new awareness of all our possibilities. Still now, yet full of energy for your reign of justice. Prayerfully we come to hear your Word and celebrate the Gospel, which makes us the new beings we are only just discovering inside ourselves. With hope we approach you in worship that we may celebrate the community we have become. Great and gracious God, we have known your presence in our midst through calls to personhood, to faith, to justice, and to action. We turn humbly in confession to acknowledge that we have failed you, and each other, and ourselves. Voice 1: O God, our Creator, we confess that we have turned away from the startling reality of our creation in your image. In fear, we have turned our backs on the dominion granted us at the beginning of time and have accepted cultural definitions of femininity and masculinity. We recognize now that by these sins we have distorted your image upon this earth. O merciful God, forgive us for failing to be with you the co-creators we were called to be. People: Forgive us and make us free! Voice 2: O God of all Wisdom, confronted by injustice and the awesome powers and principalities of our day, we recoil in fear and take refuge in our powerlessness. Frozen into passivity and hiding behind complexity, we pray for others to take action at moments when our leadership is necessary. O merciful God, forgive us for forgetting that your Spirit brings wisdom to those who must step forward at times like these. People: Forgive us and make us bold! Voice 3: O God of all the universe, we confess that we have permitted the happenstance of birth to divide us not only from, but against, each other. We celebrate our differences, and yet we fail to create that unity which the gospel demands. O merciful God, forgive us for closing ourselves to your Spirit which would unite and empower us for mission. People: Forgive us and make us one! Voice 4: O God of all time, forgive us. We live in a society which wastes resources and people. We have become accustomed to such waste. We value the young and the new and the shiny. Yet you, God, promise to make all things new. O merciful God, forgive us for our willingness to be every kind of new creation but yours. People: Forgive us and make us new! Leader: Come close, God, and hear the inner yearnings of these your people who seek to be faithful, who long to live justly and to live for justice. We seek your loving forgiveness, as surely as we are a people of faith. For in this prayer, we confess not only our wrongdoing but also our faith. Come, God our Creator, who is known in Jesus Christ. Come through your Holy Spirit and free us of these burdens. Leader: Our lives are a journey, and the road goes ever on. It’s a road that began with our birth, that winds its way through meadows and mountains that crosses rivers and canyons. People: For the bread that has sustained us on our journey, for the guides who have led us, we offer thanks and praise, O God. Leader: We pray for those whose journey ends mere moments after it has begun. People: We pray for those who do not have the strength to travel on. People: And for those whose path is in the coils of malice until joy and power and life itself are crushed out. Leader: Untouched by pain or loneliness, selfishness or uselessness. People: Help us to shape such a world through the ACWC…that through the prayers and women gathered, we become agents of change, moving the world towards real peace, reconciliation, forgiveness and justice for all. Leader: Let our paths not be narrow and self-preoccupied. People: Let us build broad highways, where all may walk together in beauty, tending the gardens along the way. People: That you walk beside us and dance ahead of us into the future. Leader:Deliver us, we pray, from the mire of grudges and regrets. We yearn to break away from all that, to come running to your open arms, to your arms that are spread wide with mercy and acceptance. People: All these things we pray in the name of Jesus, whose story brings life to a dying world, hope to a despairing people, justice and love to a realm of strife. Amen. O loving Creator, we present ourselves in your divine presence to thank you for all the bountiful gifts of life. We are especially grateful for the ACWC, which binds us together in love and supporting around the Asian area. Free us from all doubts and prejudices, we pray. Inspire us to live in solidarity with humankind that we may know the joy of giving and receiving. Dear God, accept our prayers. Let us honor your creation with love, as shown through the life and resurrection of your Son, Jesus the Christ. Amen. “In Christ, God was reconciling the world..
Leader: The way is long, let us go together. People: The way is difficult, let us help each other. Leader: The way is joyful, let us share it. People: The way is Christ’s, for Christ is the Way, let us follow. the communion of the Holy Spirit. Let us journey together. Amen. *AT THIS SIGN, the congregation please rise. *This was a joint effort of the special committee which the Church Women United of the Philippines, CWUP Board constituted composed of Zeny Maturan, Prima Formillosa and Coralie to draft. Zeny is the head of Philippines World Day of Prayer Committee and Prima is the National President of the Federation of Baptist Women. The ACWC national representative, Estrella del Mundo, of course also contributed to the ideas. Leader: Last year, we celebrated the 50th anniversary of the ACWC together. Since then, we have taken a new step forward. Today, we are gathered together to seek the peace of Jesus Christ. Let us unite our hearts in this message from Japan and use this time to worship the name of the Lord, to sing praises, and to pray together. Peace! Men and women, young and old, people throughout the world are seeking peace. In the Lord, we know Christ, the Lord of Peace, who gives us true and solid peace, not like bubbles that just pop and disappear. It is this Christ who releases us from sin and gives us true freedom. We receive true rest in God, the father of our Lord Jesus Christ, and we are able to receive Christ’s peace. The previous world war shook all people throughout the world, many lives were taken, human rights ignored, and countries and people alike were severely damaged. Time has passed. However, even in the peace that we can see today there are still many people in various places throughout the world suffering because of war. Even now, right here near us, there are people who are still dealing with many problems of the postwar era. Each one of us, having received faith and wisdom and strength from God to be sent as messengers of peace, is desirous of moving forward. Suzuko Numata is a Hiroshima storyteller. Let us listen to her testimony. I was 21 at that time and full of joy, because my fiancé was back home on leave from the war, and in 2-3 days we were to celebrate our wedding. August 6, 1945. Just as I was about to go downstairs after finishing the usual morning cleaning where I worked, a beautiful light - blue, red, green, yellow, orange - all these colors spread out in front of my eyes. It was the flash of the atomic bomb. The violent wind blew me about like a leaf in a gust of wind. In the midst of this raging torrent of desks and chairs, I was crushed under the rubble. When I regained consciousness, I was told that only 3 cm of skin remained where my left foot had been severed at the ankle and that I was bleeding from the wound. Like many other injured people, my foot was left untreated, and as a result, two days later became gangrenous up to the knee joint. When the doctor announced that my leg would have to be amputated from the thigh, I cried defiantly, realizing that I would never again be able to work or get married. However, the people around me encouraged me to have the surgery by reminding me of the importance of the life that had been saved. For a long while, the leg that had been amputated hurt as if it were still there and caused me great suffering. Moreover, at the end of the war I received the news that my fiancé had been killed in the war. The war took everything from me. If it had not been for the war, I would not have lost my leg, and my fiancé would not have died. Because of that despair and sadness, for two years I was unable to recover on my own. Then one day my mother reproached me, and her words were the push I needed to begin living again and to learn to walk with a 4-kg artificial leg. I had already given up the idea of getting married, but making the best use of the dexterity left in my hands, I obtained a teaching certificate in home economics and was assigned to teach high school girls. However, for 28 years I didn’t speak a word about my wartime experiences. I didn’t want to expose my scars in front of everyone. Then appearing in an American documentary pushed me into giving my testimony and becoming active in the peace movement. I was given this chance to regain my life through someone who had become a storyteller before me. For 20 years now in front of student groups who come to Hiroshima I have continued to testify to the importance of peace, to the horrors of the atomic bomb, and to the misery caused by war. Furthermore, making a peace pilgrimage to Okinawa on crutches gave me the chance to come face to face with the problem of the wrongs Japan had committed during the war. It made me think about the fact that there were tragedies no one had told me about and tragedies I didn’t know anything about that had led to the war. Through meeting and listening to the testimony of people there, I heard the cry for life itself. I encountered Korea through Korean atomic bomb survivors. 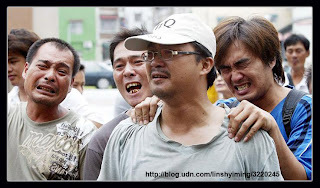 I encountered China with its history of invasion and massacre, and Malaysia where civilians were also massacred. Through these journeys, I became aware of myself as one of the Japanese perpetrators of the war, and as a result of this unbearable feeling I apologized to them and have been able to continue this kind of exchange ever since. One sister from China had survived 37 sword wounds all over her body, which had resulted in a miscarriage. While stroking each other’s scars, we talked about how we wanted to let as many people as possible know how we got those scars. For humanity to continue to live happily, as my small personal campaign I am appealing to everyone to oppose war, nuclear weapons, discrimination, environmental pollution and the destruction of nature. My testimony is only one small seed of peace. I am planting many seeds, so please water them well. For this beautiful earth and for a wonderful future, let us all join to cultivate those seeds so that they will become big and strong. People: Forgive us, oh Lord. People: Give us, oh Lord. People: Let all experience together, oh Lord. Leader: Even now, the causes of war have not been eliminated from the world. As a country that has experienced the effects of the atomic bomb, we can tell the people of the world of our deep sadness and ask that you would lead us to be able to walk the path of true peace. People: Lord, give us your peace. Leader: At the same time, we remember the fact that we not only suffered, but that we also brought suffering. Grant that we may not seek to escape from this pain but rather to accept it as spiritual nourishment, and give us the courage to work for you. People: Lord, fill our hearts with your love. Leader: We are ever mindful of the joy that is ours because you have forgiven us, but we share the heart of those experiencing deep sadness now. Lead us that together we may be able to seek your peace. People: Lead us, we pray. Leader: Strengthen us as we seek to respect the diversity of different points of view and help us to be able to love each other and work with you. People: Lord, lead us, we pray. *Suggest lighting up a small candle in everyone’s hand and being silent for a few minutes to remember those who suffered seriously from the war. Or lay out or hang up a world map at the front. When doing the intercessory prayers, people go forth to the front and put a sticker (in the shape of heart) on the country that they would like to pray for. 1. Pray for the victims who suffered / were injured in the Lebanon War. 2. Pray for the landmine problem in Cambodia. 3. Pray for the cutting down of nuclear weapons in North Korea, India, and Pakistan. Leader: We pray for all those who suffer because of war and destruction which arise from the deep sin of humanity. There is no end to the chain of hatred in the world. In the midst of this deep sorrow, give us light and courage. We pray for those who are unable to accept their own worth and who do not hear the voice of God saying to them, “You are precious in my sight” (Isaiah 43:4). May your love be preached, the love that desires that not even one of your creatures should perish, and through your love may true peace be established. Leader: Wherever we are, send us forth so that we may all be used abundantly as messengers of Christ’s peace. Liberator God, Jesus Christ, Lord of peace and hope, may the work of the Holy Spirit be with each one of us to help us bring about reconciliation. * This order of worship was prepared by the church women of Japan. Worship centre/focus: Include symbols of faith important in your culture/local customs e.g. Scriptures (a Bible); Baptism (shell/jug/bowl of water/font); Symbols of Eucharist/Communion; Cross; Candle; Drapes f colour, flowers. If culture allows, images/photos of known people of faith. WELCOME to everyone, young and old, taking part in this service. Welcome to country by indigenous people within Australia. A recognition of the traditional owners/carers of the land. Leader: Because of the great things the Mighty God's has done for us all, we worship the Lord. His name is holy: from one generation to another he shows his mercy to those who honour him. his holy name – the Lord, the Mighty One. Reference to the fact that Aboriginal people have been living in and caring for this land for over 40,000 years. Acknowledge that it was European settlement that disrupted them, and had an impact on their life style, culture, and language. In many instances it was the Christian Church which accepted responsibility for the care of people, especially children. The decision of the Government early this year to say ‘sorry'. the good things of Mother Earth. You spoke and the gum tree grew. as the rock at the heart of our Land. the convicts, the hunted, and the dispossessed. and bathed it in glorious hope. to each other and to your whole creation. hold me for all time. Leader: Creating God, you called the world into being, you hold all people in your love. You called each of us into being, breathing life into us and calling us to worship you. People: We gather in worship for we love you and adore you. Leader: Faithful God, from generation to generation you call people of every race to serve you. We learn stories of your faithful ones as we read or listen to their stories in the Hebrew and New Testament scriptures and in lives of people in more recent times. People: God of all people, we love you and adore you. Leader: Amongst them you called Noah, Abraham and Sarah, the parents of Moses and later Moses himself, prophets, kings and queens, shepherds, a slave girl, Naomi and Ruth, Esther, John the Baptist, your only Son, Jesus, those whom he called and others since. Some we know, others we don't. Many gave their lives, persecuted for their faith. Many of your faithful ones suffer still. the resources you have created. People: We ask your forgiveness. We do not always love you, others or ourselves as we should. We forget you love all people when we exclude people because they are different. Unlike us you set no boundaries of race, gender or life style. Unlike your faithful ones in the past we hang onto our faith, not sharing it with others even ignoring those who worship you in different ways than we do. People: We ask your forgiveness through Christ our Saviour. Bring us together as one, reconciled by you and reconciled with each other. You made us in your likeness, you gave us your Son, Jesus Christ. He has given us forgiveness from sin. Lord God, bring us together as one, different in culture, but given new life in Jesus Christ, together as your body, your church, your people. Lord God, bring us together as one, reconciled, healed, forgiven, sharing you with others as you have called us to do. In Jesus Christ, let us be together as One. come as you are; why stand alone? rest in my love, trust me again. I came to bring peace, not to condemn. why do you think I’d love you the less? come as you are, trust me again. Leader: Gracious God, may your word live in us. People: And bear much fruit to your glory. Leader: God of all truth, you have chosen as your blessed ones those who hunger and thirst for righteousness. We give thanks for those whose lives have shone with integrity and goodness. We give thanks for your prophets of old and all today who fight for justice, freedom, and truth. People: We give you thanks and praise. Leader: Help us to follow their example, that we too may be filled with your spirit. Leader: God of all humility, you have chosen as your blessed ones those whose hearts are simple and pure. We give you thanks for those who do not grasp at material possessions. We give you thanks for all those whose good works have been unnoticed and unsung. Leader: Help us to follow their example, that we too may come to see your face. Leader: God of all faithfulness, you have chosen as your blessed ones those who have remained steadfast in the face of danger and persecution. We give thanks for those of this church who have gone before us. We give thanks for all whom we hold dear who are now in your eternal presence. We give thanks for all who have followed in your way until their life's end. Leader: Help us to follow their example, that we too may rejoice to come into our reward and, with all the saints of heaven, worship you for ever. Leader: We thank you, Lord, for all you have given us. Please accept these tokens of our love for you and use the money to further the work of your kingdom through ACWC. your name, O Jesus, be for ever blessed. in deepest darkness still their one true light. The Three-in-One for ever they adore. Hallelujah, hallelujah. - William Walsham How 1823-97 alt. will mark our way with light and hope. Hymn: TiS 720 Halle, hallelujah! Prayers of Intercession written for this service.